The author and musician talks to Shelagh Rogers about his love for newspaper journalism. 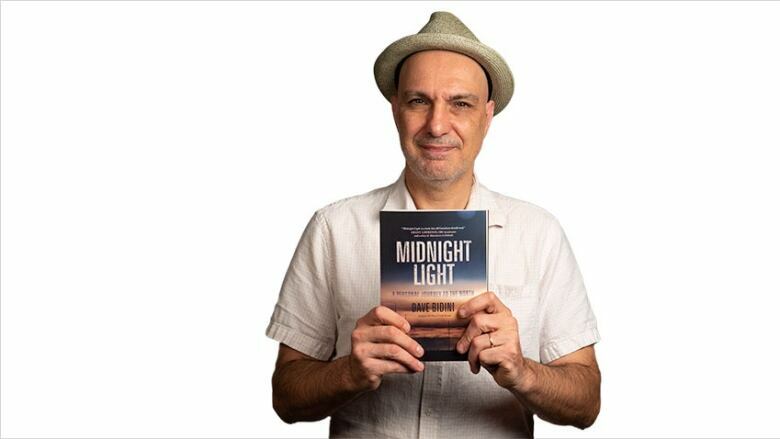 Musician and author Dave Bidini shares stories from his sojourn to the Northwest Territories in his new book Midnight Light. Using the local newspaper the Yellowknifer as an introduction to life in the northern Canadian city, Bidini meets with Dene elders, entrepreneurs, artists, politicians and police officers who share their unique perspectives on home and the ways they seek to transform it. "My family was a typical family in the 1970s and 1980s, where reading was the morning ritual. We would read from those great broadsheets and everybody took out their favourite section — it was kind of a way to hide from each other. People ask me how I became a writer and I tell them that, for me, every day started with a new story. "In those days, you would start with a story and then end with a story because you'd read before bed — or be read to before bed — when you were younger. Those writers and columnists in the early days were legends to me. The experience of reading a newspaper was huge." "As a reporter in the Northwest Territories, the range of what I had to do was really interesting. I covered the over-50 seniors tennis championships one day, then the next day it's a fire on a houseboat in Yellowknife Bay. I would have to report with other, more legitimate reporters — I was just pretending to be a reporter for the summer, to be honest — but I would have to write about how the fire and police departments responded. So I toggled between light news and serious news reporting." "The book is profound in a sense because it's about journalism in our time. Journalism is challenged in so many different ways because newspapers aren't flourishing in general — the Yellowknifer is one that still does — so to see us lose that element of what they do would have been deeply distressing. It's often that first stop for a lot of writers on their career path. The same is true of a lot of small papers right across Canada. And if we lose these newspapers, we lose that first building block in what can become great lives of literature and writing and reporting." Dave Bidini's comments have been edited for length and clarity.